We draw a new template and work with you to perfect your image. Your company is evolving; your products and services are moving forward – you are a company on the move. Your website needs to reflect this. In graphic design, website design is the most rapidly-evolving field. A website can soon look outdated. At UK InterWeb we will work with you to create a modern, clean website that will optimise your image and company profile – and reflect how your company has grown since your website was launched. 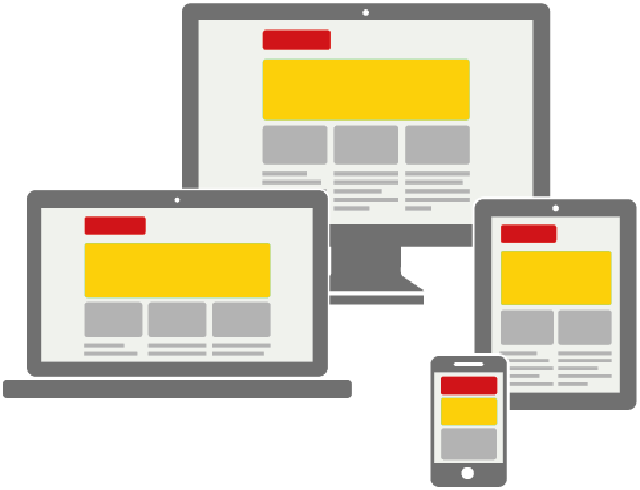 UKInterWeb aims at allowing desktop webpages to be viewed in response to the size of the screen or the web browser one is using. UKInterWeb creates retina images and make your websites and web apps look amazingly sharp on Apple's newest devices with Retina Displays. UK InterWeb creates navigation that makes it easy for visitors to rapidly find the information that interests them. UK InterWeb creates attractive and relevant graphics to make your message loud and clear. UK InterWeb integrates slide shows and videos into your web design to make your products and services irresistible to your visitors. UK InterWeb develops SEO friendly websites. Having an SEO friendly website is a must to ensure high ranking in search engine results. What is most distinctive about you, your products and services? What does your present website say about you? Have you developed your products and services since your website was first published? How can we make your message: Clearer? Easier to understand? Compelling? How can we make the appearance of your website completely "in the moment"? We design your new site to give it the fresh clear appeal you deserve. Please contact us to discuss how we can upgrade your existing website. Copyright © 2017 Designed by : UK InterWeb. All Rights Reserved.